JOHANNESBURG – From the 6th to the 9th of August SCOUTS South Africa is hosting the 2nd International Akela event in Johannesburg. 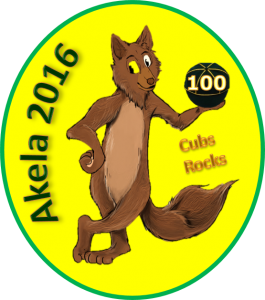 This years’ ‘Akela 2016’ is particularly exciting as it celebrates 100 years of Cubbing globally. Cubbing is the entry level branch of the South African Scouting Movement and caters for children (boys and girls) between the ages of 7 – 10. Under the theme “Ubuntu” a Howl for a Century of Cubbing!” adult leaders from all over the country and a few from abroad will embrace the “Ubuntu” spirit of togetherness. “Not only will we be exchanging ideas and practices, we will also get adventurous and crafty. Akela 2016 will include a variety of workshops including ‘Working with special needs children’ and ‘Programming with little or no resources’. The indoor and outdoor activities include creative arts, upcycling, the packing of food parcels in support of Stop Hunger Now and a community service project which entails the establishment of a small library and the up scaling of some of the property of Paradise Christian School. The ECD Centre is a self-funded school. Everything done in the school is funded by the parents paying their children’s school fees. We hope to support the parents and staff in empowering their children by lending a helping hand”, says Akela 2016 Chairperson Rochelle Booyens. “Reaching one hundred years of Cubbing is phenomenal. It is no mean feat and hence we have been celebrating this milestone that has been achieved worldwide. Since no organisation can exist for so many years without a sound foundation phase, we can confidently say that Cubbing plays an integral role in keeping both South African Scouting as the World Scout Movement in progress. It is when we nurture and instill to young children, the values and principles that we stand for as a Movement that we can only hope to reach another one hundred years. 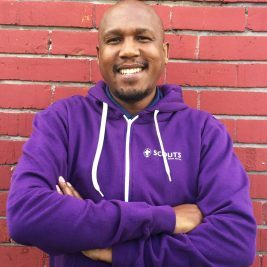 It is in these early years of development that we can hope to grow the interest for Scouting. Cubbing stands firm in its own right, but also sets the stage for future Scouts, Rovers and Adult Leaders who live and embody the Scouting values. 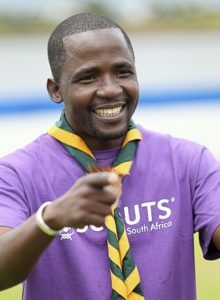 I am excited to join the Scouters that inspire our Cubs at Akela 2016!” says Chief Scout Sibusiso Vilane. The bi-annual event takes place for the first time in South Africa and will bring together over 170 adult leaders from all over our country and a few from abroad. The adult leaders volunteer their time to empower and guide our youthful members on a weekly basis. SCOUTS South Africa is an independent, non-profit educational movement dedicated to the development of young people in achieving their full potential as individuals and responsible citizens. Central in this programme is a continuous transference of values such as honesty, loyalty, responsibility, respect; all aimed at governing individual behaviour and the development of strong leadership skills.